Hinkley has been influencing our gardens for 30 years. HOW MANY of you have at least one plant in your garden from Heronswood Nursery? Or plants that were discovered in far-flung corners of the globe, propagated, trialled and introduced into cultivation by Daniel Hinkley? Probably every one of us has at least one such treasure. That’s Hinkley’s influence on the world of horticulture for the past 30 years; he’s changed the look of our gardens, as well as our plant aspirations and expectations. 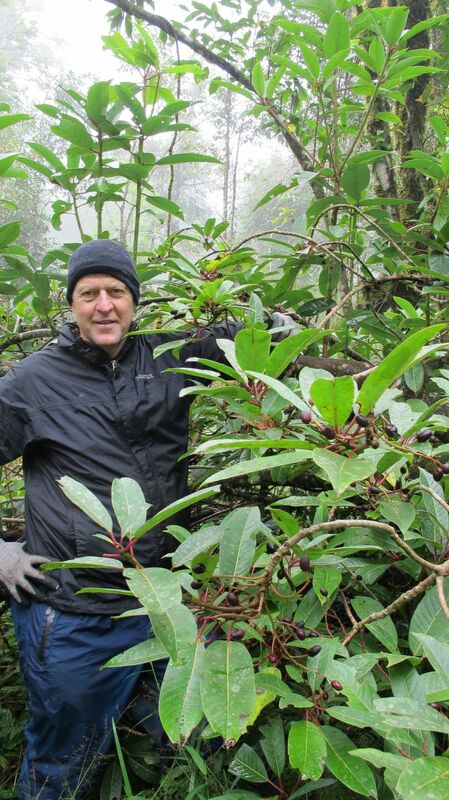 His curiosity about the Earth’s flora, his restless energies, superb plantsmanship and keen sense for entrepreneurship (with a big assist from his partner-now-husband Robert Jones) put the Northwest on the gardening map, and we’ve all happily shared in the payoffs from his hard work and talent. Hinkley moved to the Northwest from Michigan in the early 1980s, got his master’s at the University of Washington’s Center for Urban Horticulture and taught at Edmonds Community College. He and Jones bought inauspicious acreage near Kingston that they transformed into a worldwide mecca of a nursery and garden known as Heronswood. Do you know anyone else who built up a mail-order nursery and sold it for millions of dollars? Does this sound like hyperbole? Nope; just fact. Along the way, Hinkley won prestigious horticultural medals, wrote books and articles, became a sought-after speaker and made friends with every famous gardener I can think of, from Christopher Lloyd to Martha Stewart. Jones, an architect, designed a house for the couple high atop a view bluff near Indianola. At Windcliff, they’ve settled in and created gardens, greenhouses, waterfalls and ponds, with plenty of space for collections of plants from, well, nearly everywhere. I caught up with Hinkley between his fall trip to China and an upcoming expedition to Vietnam to ask for a snapshot of where he is right now. At 62, he’s not slowing down. “I go to the gym four days a week and hike on weekends to survive the treks,” says Hinkley. 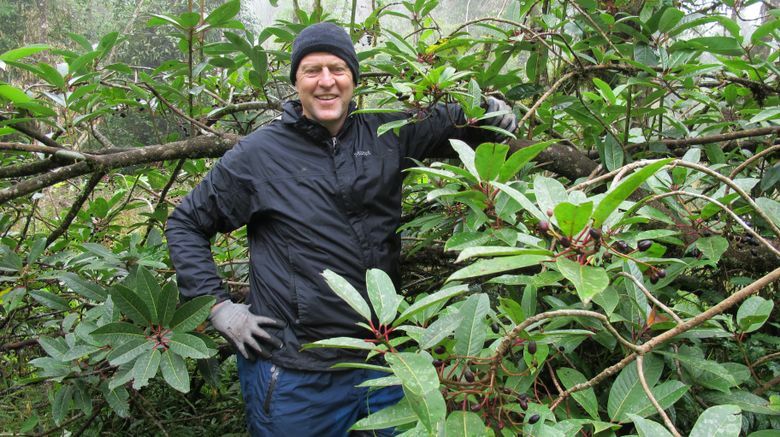 Many of the plants Hinkley grows from the seeds he collects are marketed by Monrovia Nursery via the “Dan Hinkley Collection,” already numbering 75 different kinds of plants. “We’re getting into really exciting, more adventurous plants,” Hinkley says of his eight-year partnership with the California nursery. Hinkley also has a little nursery at home. “It’s not a well-thought-out business, but it allows me to keep propagating,” he says. Most of these plants are sold to benefit Heronswood, or are being planted as part of the garden’s renovation. Now owned by the Port Gamble S’Klallam Tribe, Heronswood is being remade into an event venue with Hinkley as the garden’s managing director. “We have no intention of making Heronswood what it was. We’re polishing and reconfiguring it,” says Hinkley, obviously thrilled to be back working in the garden he knows so well. Besides sequencing plants for a meadow he’s planting at Windcliff, and growing an amazing assortment of vegetables, there’s yet another facet to Hinkley’s work: As a horticultural consultant, he selects and sources plants on a number of big projects. He just finished a collaboration with SiteWorkshop on Seattle’s Amazon biospheres. He’s working with architects Olson Kundig on a junglelike rooftop garden in Korea, and with landscape architects Gustafson Guthrie Nichol on the new Life Sciences building on the University of Washington campus.